Barbados has no rules about elections funding. 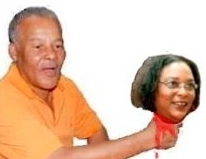 Owen Arthur pretends Mia Mottley did something wrong. An internal Barbados Labour Party report by former party treasurer Tyrone Barker was leaked to The Nation newspaper, probably by Owen Arthur or one his supporters – but almost certainly with Arthur’s knowledge and approval. It seems that in January 2008 when Mia Mottley took over the party, there were half a million dollars leftover in a “special trust fund” that had been established for the election campaign. As leader of the party, Mia Mottley used those funds as she saw fit which was to pay for her office and staff for almost three years and to use some of the money for political advertising. By the time that Owen Arthur wanted his party back and pulled the coup in October, 2010, the half a million dollars was down to $143,000. It looks like fundraising for the BLP didn’t go so well in bad economic times and after they got their butts handed to them in the election. I guess the BLP forgot how hard it is to get people to write cheques to the party when it’s not the government anymore and can’t hand out the biscuits like it used to! So as leader, Mia Mottley used the election funds for salaries because it had to be done. And like an old dog smelling a little blood coming from a younger opponent, Arthur thought he’d use the occasion to kick Mottley again just to make sure she doesn’t get any ideas of who’s the top dog ’bout this island. He’s in the paper telling the public that he wouldn’t criticize Mottley (No, of course not! LOL!) but that under his leadership of the BLP the fund had been managed by the trustees and always kept separate from the ordinary accounts of the party “for good reasons”. Owen Arthur is making like Mia Mottley misused the funds, but it’s not so. Every penny is accounted for, and what were she and the party to do? Now we get to the best part. In chiding Mia over how she spent party funds, Owen Arthur would like the public to forget that when he was Prime Minister, someone gave a $75,000 political donation to the party that went directly into Arthur’s PERSONAL BANK ACCOUNT. Those funds never made it to the party coffers until then Opposition Leader David Thompson waved the cheque around and told the story. Then Arthur said “oops” and that was the end of that. Nothing ever came of Arthur outright misappropriating party funds because this is Barbados and we have no rules about election funding – so no rules were broken. Our politicians take funds from Cuba, China, USA, Britain, Canada and anyplace else they can. When in power for 14 years, Owen Arthur, Mia Mottley and the BLP made sure there were no rules for politicians. They like it that way. Now Arthur wants to claim Mottley violated… what rules? Owen Arthur’s hubris: There can be no Barbados without me! Contest Submission Deadline is fast approaching! It’s all well and good to discuss local matters, but let us not forget that we do not live in isolation. At some stage and/or point in time, global affairs may influence local matters. We are all, essentially, citizens of the World. From a Barbadian perspective, what should be our concerns as we view major issues in the world? 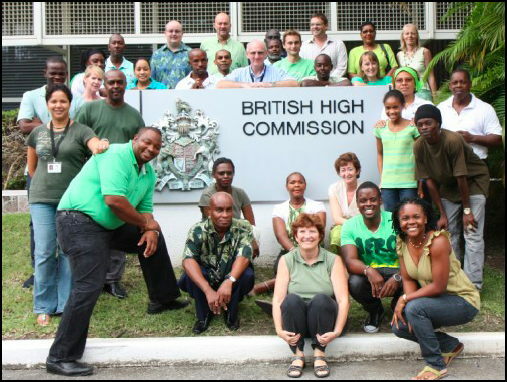 Which one, from a Barbadian perspective, is the big worry? That said, maybe you and your readers will find this link interesting. Via The Economist website, a report by the Global Agenda Council on Geopolitical Risk (an advisory group to the World Economic Forum).